Harry N. Abrams, 9781419718847, 56pp. 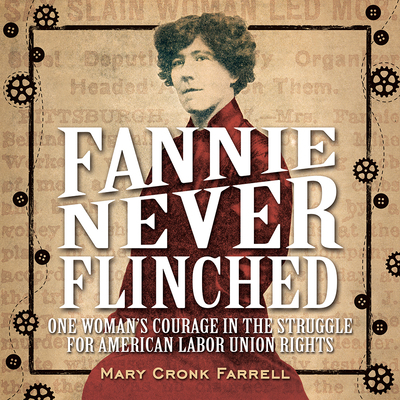 Mary Cronk Farrell’s books have been honored with the SPUR Award for Best Juvenile Fiction, and as Notable Social Studies Books for Young People and NY Public Library Best Books for Teens. Mary speaks at schools, libraries, and women’s and family workshops. She lives in Spokane, Washington. "A cogent, well-documented, handsomely designed treatment of a heretofore forgotten hero of labor." "An essential purchase for public or large school libraries interested in workers’ rights and social justice." "The author may be addressing this stirring story of an early union activist—Fannie Sellins (1872-1919)—to middle-schoolers, but the rigor of her approach yields a book with solid scholarly feature." "Readers interested in the history of workers’ rights shouldn’t miss this entrée to the subject, which is bolstered by a timeline of labor struggles, source notes, and other resources." "A useful resource for students researching the violent era of American labor history."